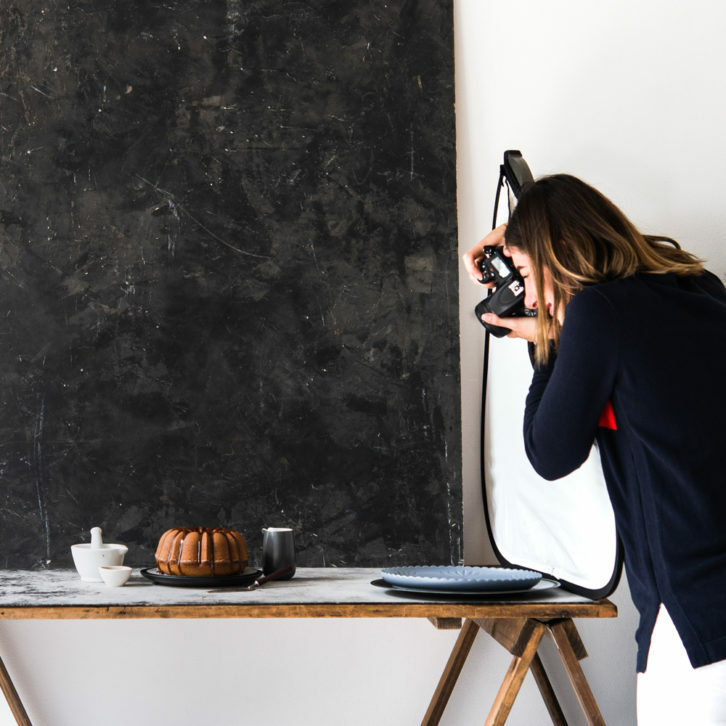 Who’s ready to create the best food photography backdrop they’ll have in their collection? Because this is a blog post, you can’t see that I’m totally fist-pumping, screaming…yeah baby! Me, me, me. This post is totally going to make your week. I know it’s been a real game changer to have the ability to create this super professional looking food photography backdrop. 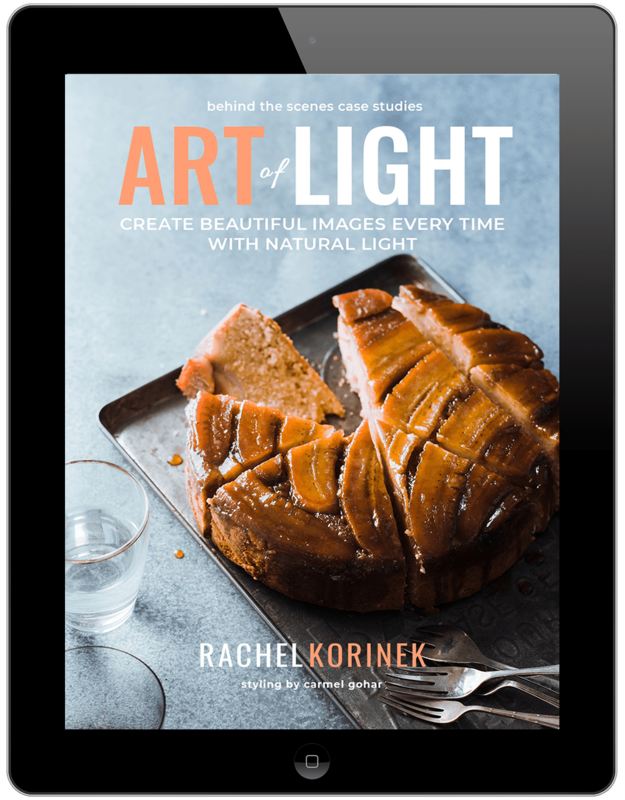 But before we get into the how-to part of this post, I’d like to take a minute to go over the importance of a good food photography backdrop and why it will elevate your work. A food photography backdrop is the backbone of your shot. Great things are built on a solid foundation, and your food images are no different. The backdrop that you choose is the backbone of your food scene. It will set the tone of the story you are trying to capture. Choose a backdrop that isn’t premium and says (without sounding overly dramatic) goodbye premium and hello mediocre. 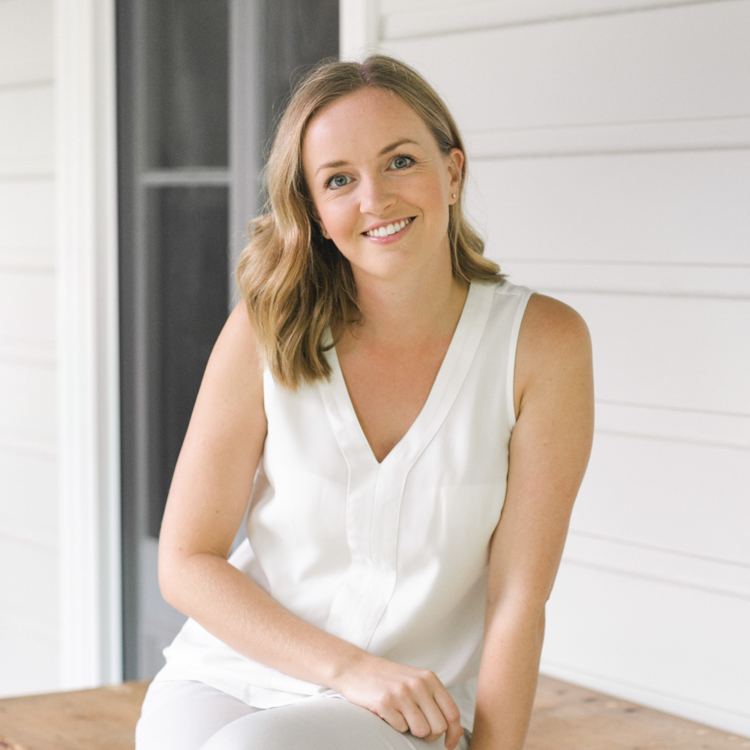 Do’s when picking a food photography backdrop. The key to a premium background is one that subtly adds to the overall feel of an image instead of competing with the food. Choose backgrounds that have inconspicuous texture and aren’t too busy with lines and fall within a neutral colour palette, whites, greys, hues of blue or desaturated browns. Stay away from warm coloured woods with yellow/orange tones. 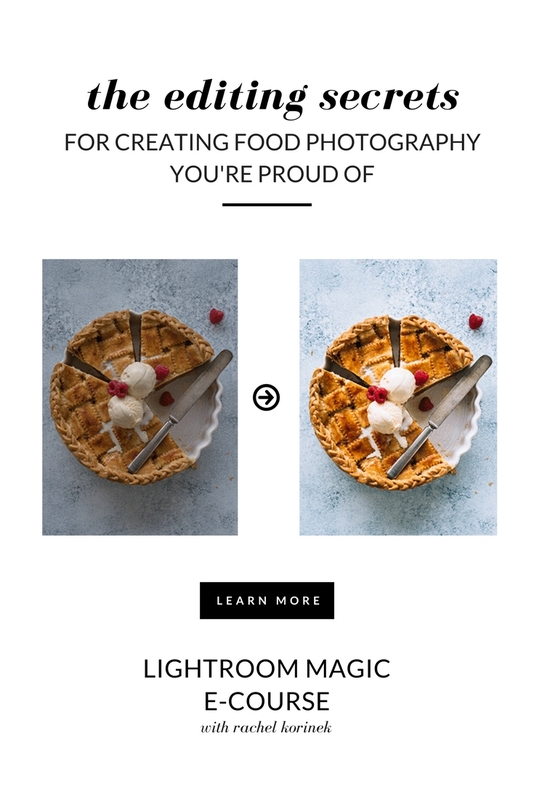 The reason for this is that food looks fresher, crisper and more enticing when the temperature of your shot is more towards the blue end of the spectrum. Warm coloured woods can be too saturated and overpower the other colours in your shot. Just flick through any prestigious food magazine and you’ll see a tendency to stick away from this type of backdrop. 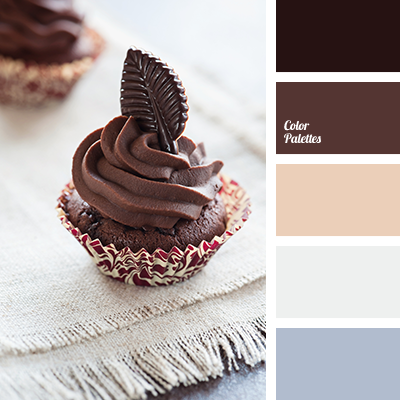 You can read more about How To Use Color Theory in Food Photography here. 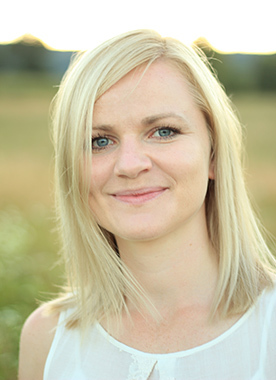 I am delighted to have UK food photographer Bea Lubas on the blog for this collaboration post. Bea’s work is known to show the power and beauty of simplicity, and her 4 step background tutorial won’t disappoint. Ready, set – paint! Let’s take your work up a notch. Make this backdrop in just 4 easy steps and less than 30 mins! 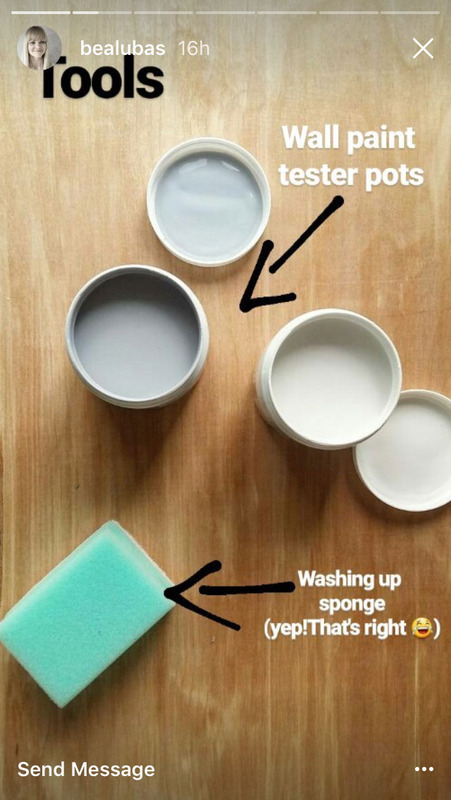 Tester or sample size pots of paint. Different shades of the same colour work great! 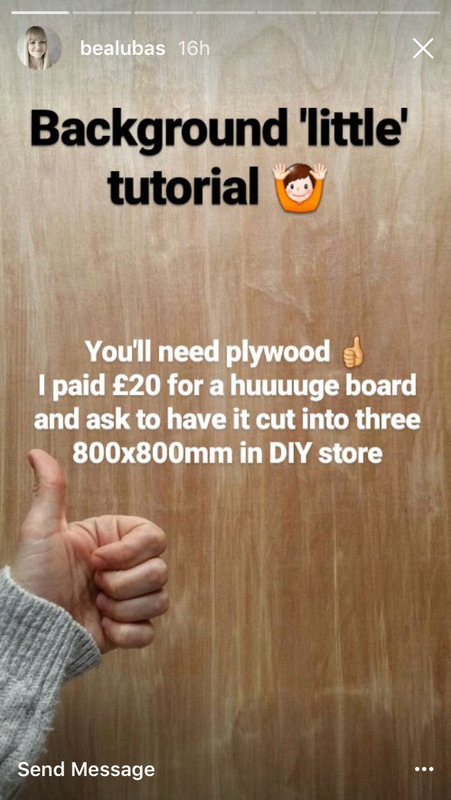 I go for the biggest plywood board available and ask to cut it into 800 x 800 mm at the DIY store. 800mm x 600mm would work great too. (If you are in the UK, B&Q has a great selection!) Go for at least 10mm thick as anything thinner might bend too easily. I use ordinary matt wall paints that I always get in small tester pots. 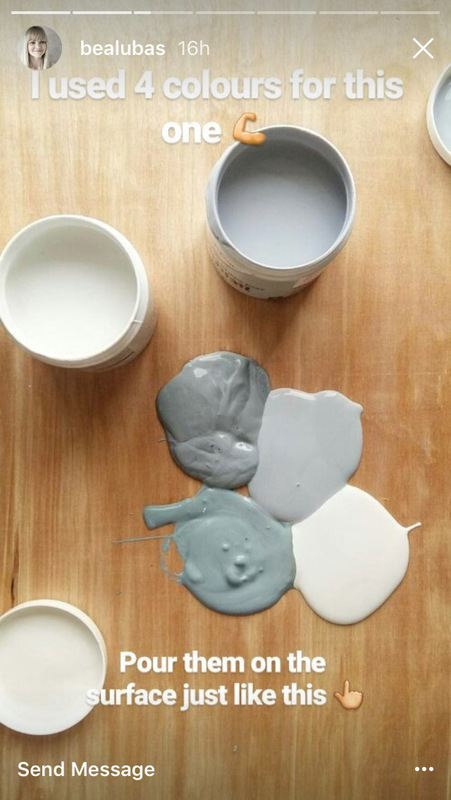 Go for at least three different shades and a pour small amount of each paint in the middle of the surface, next to one another. If you run out, repeat. Blend it by using a sponge but DON’T OVER MIX. Dab it all over the board. Try not to use paint too heavily, just enough to cover the wood and don’t be too precise! One coat is always enough. I don’t put any sealant on the top, just wipe it with a damp cloth after every use and it keeps fine. However, if you work a lot with easily colouring food or spices like for example turmeric, you might want to put an additional layer of matt lacquer on the top. The drying time will depend on what kind of paint you use but for fast drying time, you can always paint it outside or leave it indoors by an open window. Shoot on it! Don’t forget camera see differently than our eyes. When I painted the first few boards I though ‘Nah, it’s horrible!’ then I forced myself to test it and photograph something on it and suddenly I was like ‘OMG! I love it!’. So don’t judge it before you try it. Time saver!Save yourself time and space by using both sides of the board! 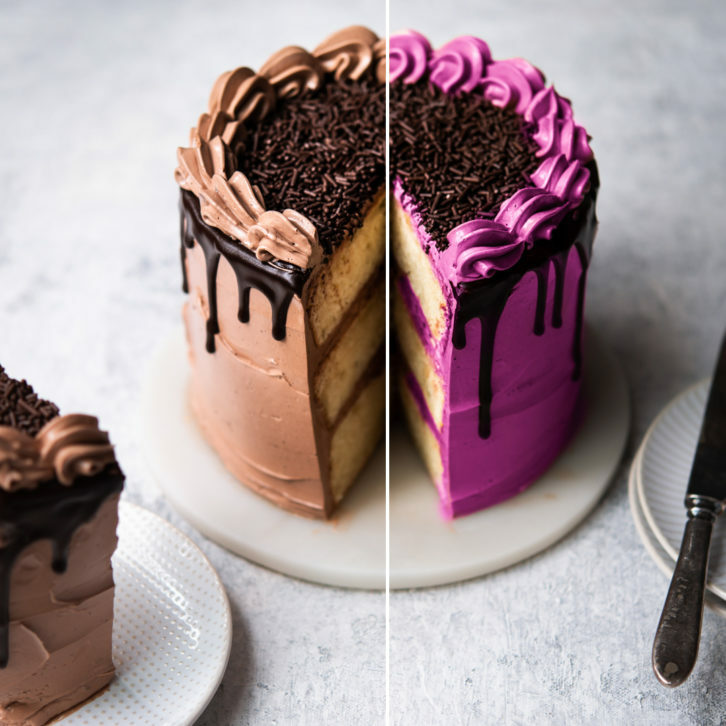 How To Pick Colours For Your Food Photography Backdrop. If you’ve ever spent time flipping through the endless pages of amazing colour choices on site like Color Palettes, you may feel like me…overwhelmed with choice. In the end, I usually pick colours that inspire me with the related photo. But rather, you should be picking colours that are going to work with the overall feel of the future images you will create. #1 – Go for a neutral colour palette. Bright and colourful backgrounds are super fun and definitely, have their place in food photography. But you can be sure that this background will compete with most of your food, leaving you with not much opportunity to use it. If space is an issue for you, go for a neutral colour palette that will allow you to get the most use out of it! 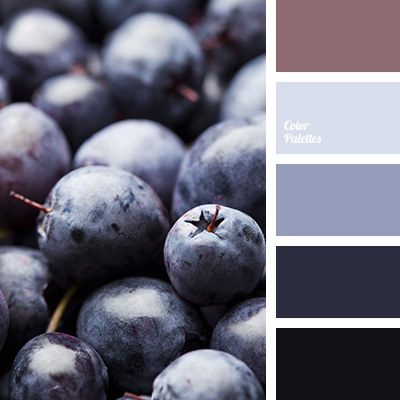 If you shoot for Instagram, you can read about Instagram color palettes here. #2 – Desaturated, pastel or pale colours. If colour really is your thing, create it! Just choose pastel or desaturated hues of the colours you want to use. This will ensure that the stand out colours in your images are the food. Remember too that colours tend to dry darker and richer than you expect. Try a couple of shades lighter and desaturated. 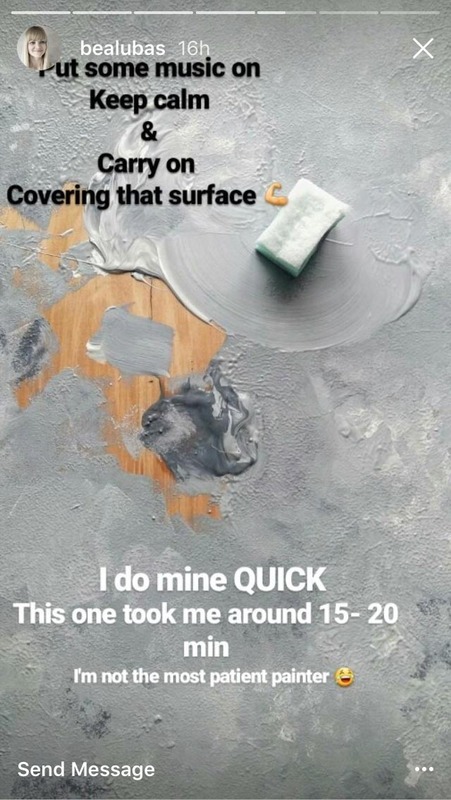 You can also add more coats later. To check out the backgrounds I’ve use in my portfolio, you can see my work here. #3 – Cool based colours and hues. Food looks fresher, crisper and more enticing when the temperature of your shot is more towards the blue end of the spectrum. Adding colours with blue bases or hues will make your work more appealing. Think about how you can incorporate this into the colours you go for. #4 – Include a shade of white. Including a white as part of your colour set can really lift and lighten your background. Not just in terms of the colour either, but the heaviness of the background. If you shoot a lot of bright and airy work, you’ll want to add white so that this doesn’t detract from the light and airy feel you’re after. #5 – Mix dark and light colours. Some of the best backgrounds mix light and dark colours. Just think about marble! If you go for light and dark colours with a similar base or hue, this could work really nicely for you! For tips on how to shoot dark food photography, read this post. We’d love to know what you thought of this tutorial! 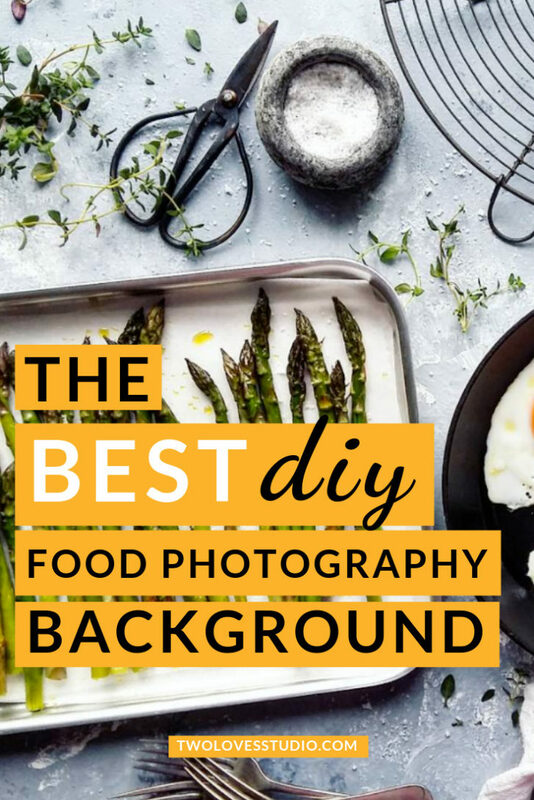 Let us know if you’ve got any tips from creating backgrounds or any struggles you’ve been having when it comes DIY for food photography backdrop! How funny this is todays post by Bea. I’m just about to make some of my own again. It’s been a while so I’ll take all of these brilliant tips to mind as I create them. In the UK I found Wicks to be a little cheaper for the wood than B&Q but my branch couldn’t cut them down. I bought a smaller piece, half width ply wood, and cut it into 3 equal(ish) lengths in the carpark, as it wouldn’t fit in the car. Made sure I sanded down the edges as it can splinter quite easily. Will deffo tag you in when we use them. What great timing Jonathan! Would love to see what you come up with. Thank you for this tutorial!! I remember catching this Instagram story from Bea’s IG, but it was gone the next day (obviously) and couldn’t remember just how she did it. I don’t want to pay $150 for just one board, so this is perfect! I made two boards recently from concrete board (which is way too heavy but has a nice look). I’m going to saturate it with more color using this tutorial since I found that the color fades when photographed. Thank you again! That’s so great Leslie! It is very true that boards can shoot less bright than expected. It’s a good tip that I have found useful as well. Bea I made some of these the other day! I remembered how to do it from your Insta stories and they turned out so great. Marley even helped out and was stoked with her work ( which I had to re-do slightly). They come up so beautifully in photos. This is great, I’ve made some of my own boards but I love your marbled effect, will give it a go! That’s awesome Janice. 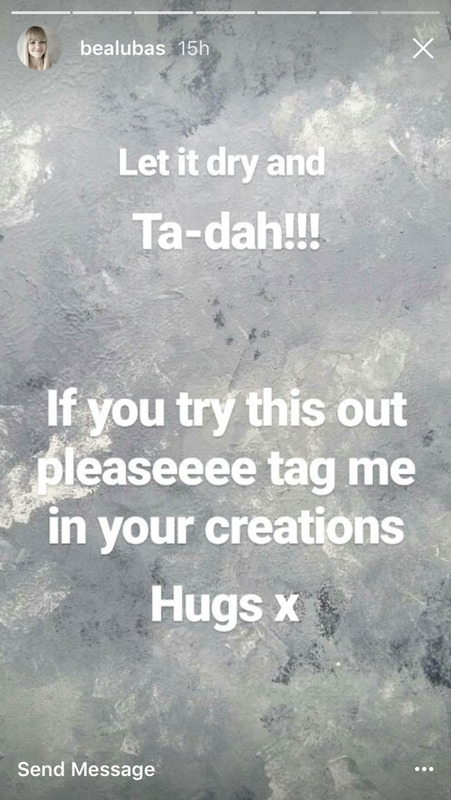 Be sure to tag Bea on Instagram as I know she would love to see what you create! Woohoo! It’s such a simple, but fun tutorial. Can’t wait to see what colours you pick! thanks so much for this. I’ve been wanting to make some boards – and now I know how to do it! thanks! Well perfect timing then! Make sure to check out Bea on Instagram and thank her for sharing these amazing tutorial with us! I am going to try this over the weekend! Woohoo! I’d love to see what you create. Be sure to share a link for us to see. Estuve buscando como hacer mi fondo. Muchas gracias desde Buenos Aires!! Hi..it is an amazing article that i have seen. I want to tyr it out. but before i do, i have one question, when i go to a store to buy wall paint, what kind of wall paint should i buy – water based like emulsion, distemper, paint or enamel or paint used to create textured wall. Please suggest. If I wanna put food directly onto the board, do I need to make sure the paint / board is food safe? You can definitely find food safe paint if that is a concern for you. Let me know how you go! I want to make the backdrop but need to find a food grade paint. Has anyone thought about that? Absolutely Viosa. 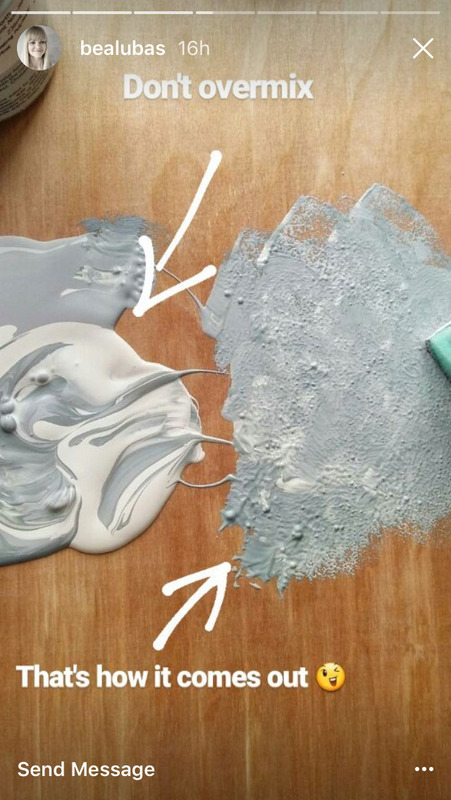 You could try to find a non-toxic, odourless and/or organic paint. I the UK there is a brand called Lakeland Paints that I have heard Bea mention which is non-toxic. Sometimes children’s paint is also food safe. Always check what your options are with your local hardware or paint store for the options in your region. If that doesn’t work, you can always put something in between the food and the background. Like a coaster that you can hide out of sight. Or sometimes I will cut a piece of baking paper to size/shape that isn’t visible underneath. Hope that helps! So glad to hear that! Be sure to tag me on IG when you make one to shoot on! Hi Renu. I’m not sure what B&q is. Let me know so I can help you. As of today, I have one recipe posted using them, but I have a pile of others in the queue. Hey Annemaire! That is awesome. I love to hear that your daughter helped out. What a great project! I like to paint both sides to get two in one. I’d love to see your shots so come share with me on Instagram. hey, that sounds so good! I have been trying to get a “One backdrop that can suit a lot of shots” thing but could not. This looks quite interesting. I was thinking of a walnut brown color as well? Wouldn’t it look stunning? Do let me know with what you have seen in your experience. Also, with the backdrop you have told, how do you manage to clean the stains? Any tips, please! I find that I gravitate to whites, blues, greys (both light and dark). You can also paint both sides, so have two boards but 4 choices! I think brown would look really nice. Some of my favourite shots use that colour. Many people use different things to seal boards. I haven’t had an issue with stains at all and I just use regular paint. I do find that tumeric can stain but most other foods can be swiped off easily. Thank You for this. 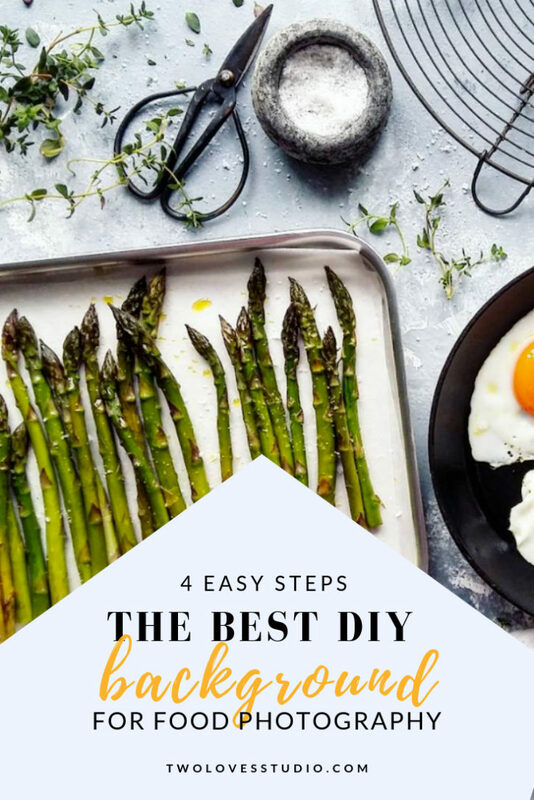 I created two of my DIY boards and I just love them using the procedure outlined by you. You can have a look on my blog page one in blue and other in pink(I just used the colour I love as I wanted a shade of red, it was an experiment). I am looking now for more colours , I read your other post about different colours but just confused.